Designing for yourself can be some of the most challenging work you will ever do. TNG (an interactive studio I worked at) decided after 23 years that it was time for a refresh. 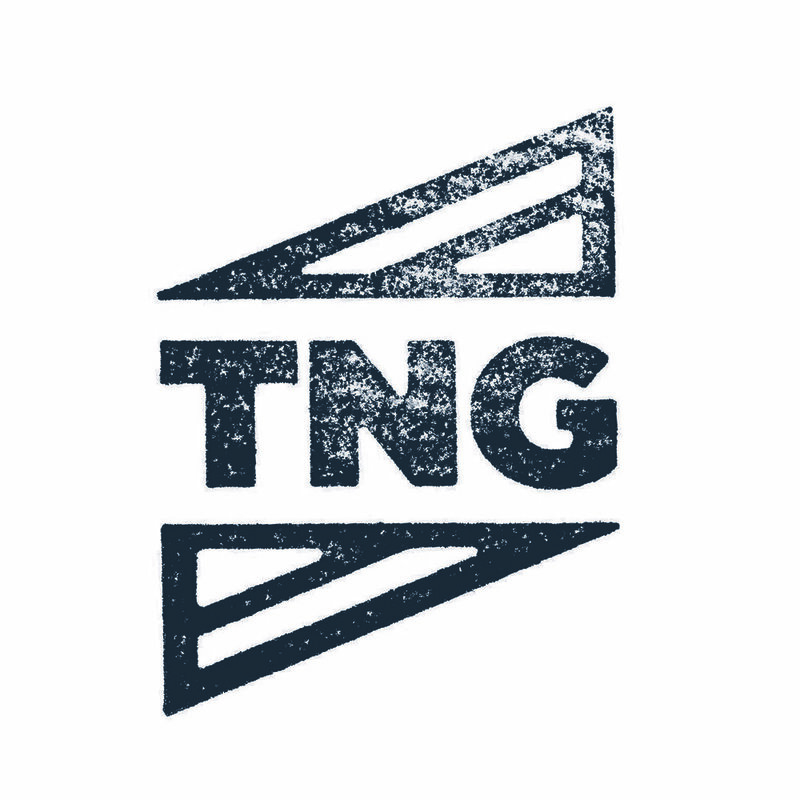 TNG, formerly known as The New Group, needed something that represents the talented people that work there, and the custom experiences we create for our clients. As "Makers of Digital Experience," TNG wanted to focus on craftsmanship, but also wanted the brand to be timeless and evolve with the company and ever-changing industry. I worked closely with the Art Director and Creative Director to develop the brand from start to finish, carrying out the visual styles to every piece of collateral an agency would need. As we started creating collateral like the agency's PowerPoint presentations and the website, we needed to develop photography that supported the brand and was as real as we could great. Below are the photographs I took to capture the moments in between. With a talented dev and creative team in house, we wanted the website to show off our creative and development chops. This meant pushing the website to be highly polished and showcase subtle animations that gave it that craftsmanship feel. The work we showcased would inevitably grow over time. This unique solution previews the project with the background image as the user scrolls over the titles, providing a quick preview. This was simplified in mobile but shared many similarities. Why not have fun a little with the 404 page, to keep folks engaged even when they land on a dead-link? The detail pages needed to show various project-types and highlight the different aspects of the project: strategy, development and creative. Auto-playing video snippets of the interface, exposing code or unique strategy and giving insights into the behind the scenes process helped tell this story.